Nowadays, the rapid advancements of high-throughout sequencing technologies provide us with formidable capacity in genome sequencing, accordingly making biological data increasing at an unprecedentedly exponential rate and resultingly accumulating huge volumes of biological data at diverse omics levels (including genomics, transcriptomics, proteomics, epigenomics, metabolomics, etc). To answer the most important and complex biological questions and translate these big data into biomedical knowledge, it is often required to provide researchers with open access to integrated omics data as well as bioinformatics tools. Importantly, China is now becoming a powerhouse in generating biological data, but there lacked of a data center in China that dedicates to make these big data well-organized and publicly accessible to the worldwide scientific community. Considering that genome-sequencing capacity is still on the rise, such data center is increasingly critical in translating big data into big discovery and in support of activities in both academia and industry. 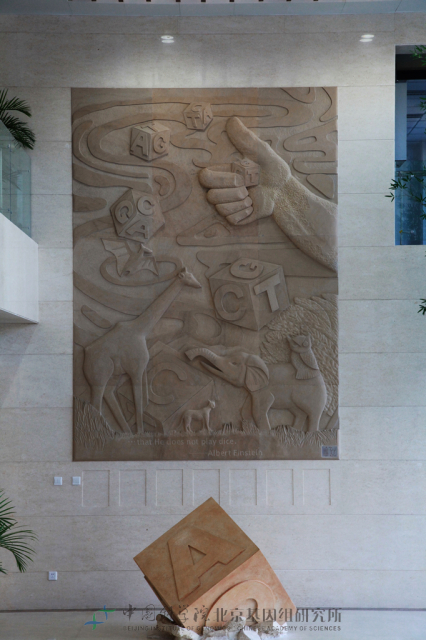 The proposal to build BIG Data center (BIGD) in Beijing Institute of Genomics (BIG), Chinese Academy of Sciences (CAS), was approved by BIG Directors on 22 December 2015. BIGD is part of BIG, which features important achievements in genome sequencing (including the International Human Genome Project China Part, the Chinese Superhybrid Rice Genome Project, the Pig, Chicken and Silkworm Genome Projects, and so on), pioneers the Chinese Population Precision Medicine Project funded by CAS, and possesses rich experiences in developing and maintaining biological databases. In addition, BIG features good facility covering more than 20 sequencers (Solid, Solexa, HiSeq, Ion Proton and PacBio) and high performance computing platform including a total of over 5000 CPU cores and 3800 terabyte storage. Taken together, BIGD could take advantage of such valuable resources in BIG to provide sustainable and reliable services in aid of research activities throughout the world. and provide freely open access to a variety of databases and tools in support of activities in both academia and industry.